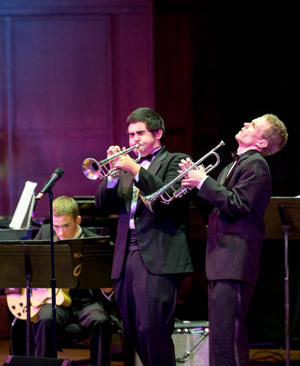 The Roosevelt Jazz program includes five ensembles: Jazz Bands 1, 2, 3, 4, and Vocal Jazz. Use the links below to learn more. Each year Roosevelt Jazz produces recordings of its performances and these recording can be found on iTunes, CDBaby.com and Spotify.